A dish so quick and easy to make I almost feel silly writing a recipe for it – this protein packed salad is perfect when you need a meal right quick. Eat it for lunch, dinner or pack it up for a picnic in the park. You’ll be glad you did. Feel free to use the ingredients listed simply as a guideline; the salad would be great over crackers, fresh tarragon would be a swell addition, perhaps add some ripe summer tomatoes, hard boiled eggs, the options are endless! 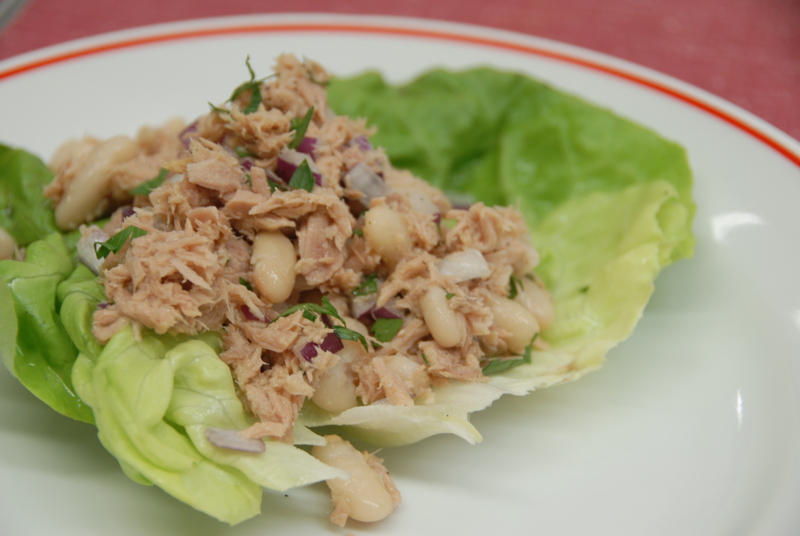 Combine the tuna, beans and red onion in a bowl. Add a touch of olive oil (not wanting my salad to be swimming in oil, I added about 2T). Give it a stir. Add lemon juice, salt and lots of pepper to taste. Add fresh herbs to liven it up and serve it over the lettuce. This meal will not only be ready to eat in the matter of minutes but it’ll keep you good n’ full while you run from one summer activity to the next! 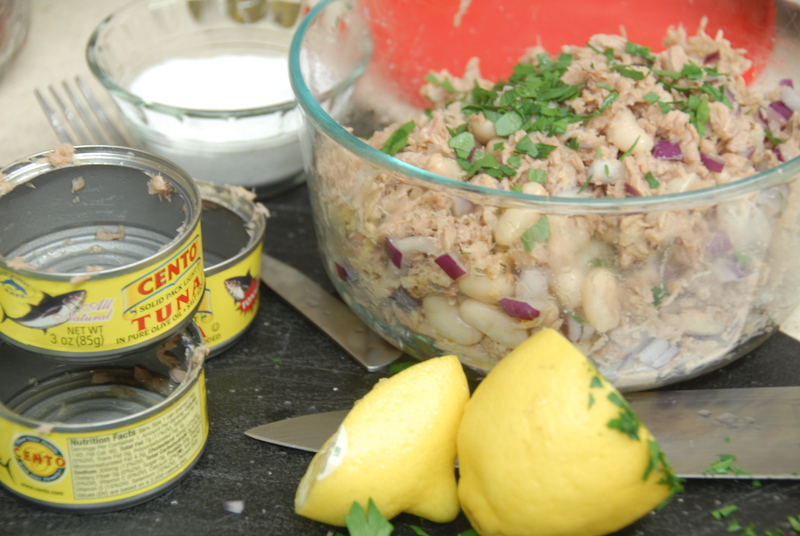 This entry was posted in Cheap Eats, Quick & Easy and tagged cannellini, easy, healthy, olive oil, quick, red onion, salad, tuna. Bookmark the permalink.